Wolfgang drops in with the Wizards crew at Dragon Talk to chat about Tome of Beasts. 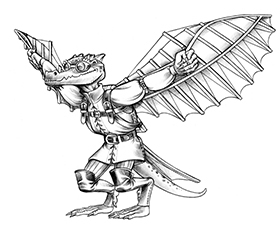 Go listen to your favorite Kobold-in-Chief talk about your favorite topic (monsters) in the latest podcast. Why “Electric Beastaloo”? A fan proposed it in the Twitch livestream, it’s a nice 80s reference, and it fits neatly into the D&D tradition of codenames and working titles. For years at TSR, every splatbook was codenamed “Big Book of ______” and many adventures were titled “Return to Frog Keep”. So there you go. 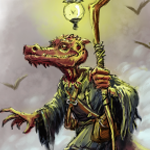 Also it is fair to say we’ll once again be asking backers to throw their creations into the Pit of Awesome Monsters, and we will print the survivors. Well, you can count on my money for this one! 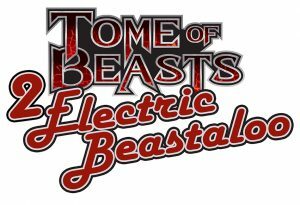 Tome of Beasts is a fantastic work! Like the first one, we’re planning on about 300 pages. It certainly might go higher (Kickstarters are unpredictable), though the plan right now is to focus on a smaller book. We’ll see this fall! This is great news. Keep the quality high and don’t forget the pawns.